Where to Find the Perfect Ugly Christmas Sweater?! Tis’ the season! Thanksgiving just ended which means it is time to start the Chanukah and Christmas season. In our household we celebrate both holidays so it is a very exciting time of year! There is also so many parties this year from the traditional holiday party to the cookie party to the epic Ugly Christmas Sweater! 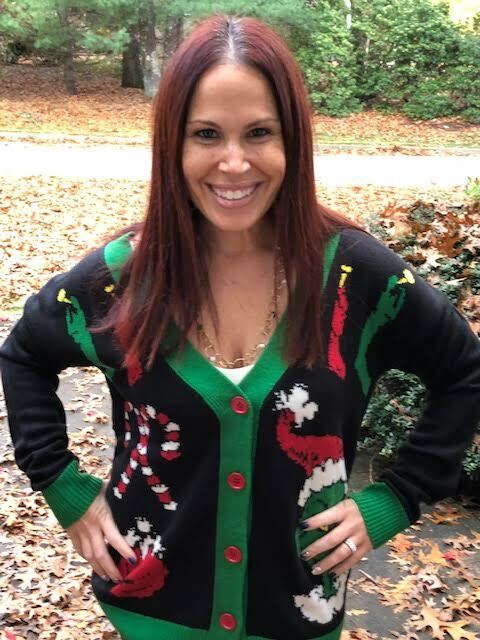 Thankfully now, I am covered with my Ugly Christmas Sweater from UglyChristmasSweater.com. 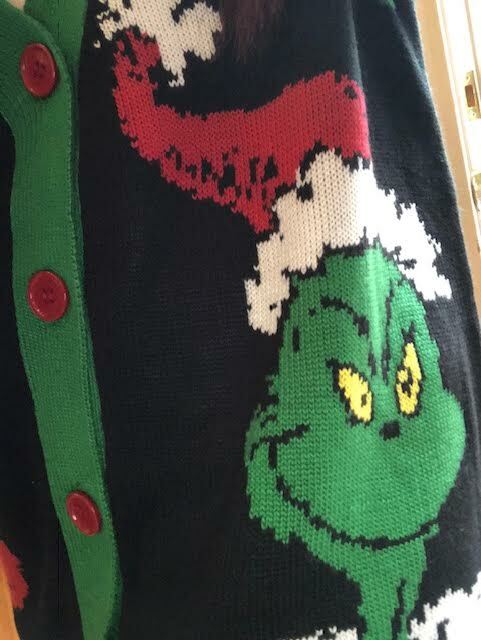 With the Grinch holiday movie out and our upcoming Grinch show at the Boch Center, I wanted to get a Grinch Christmas sweater, but of course it has to be an Ugly Christmas Sweater. The Grinch and Christmas are iconic. 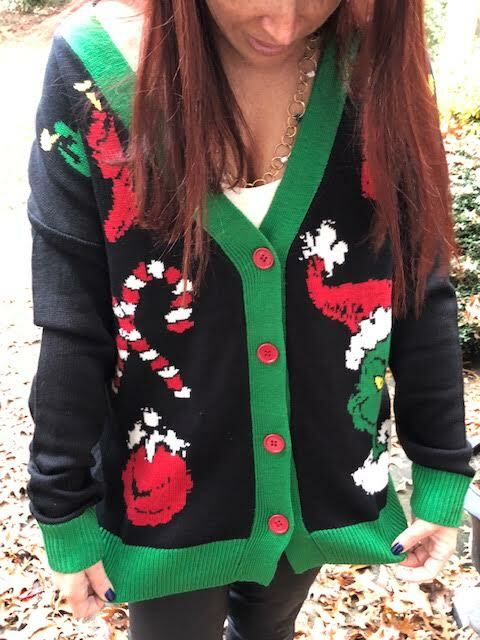 So why not remind people of that by wearing this officially-licensed Women’s The Grinch Ugly Christmas Cardigan sweater. This Grinch Ugly Sweater is truly amazing and I can’t wait to celebrate all the upcoming holiday events by wearing it. This sweater is a knitted cardigan sweater that is unisex. It comes in various sizes and if officially licensed. With the Grinch and candy canes surrounding the sweater, it will be one of the best Ugly Christmas sweaters this holiday season. If the Grinch is not your thing, Ugly Christmas Sweater has so many other offerings such as 3D, movie, men’s, women’s, and naughty sweaters. Some of my other favorites from them include the National Lampoon Vacation sweater, a Christmas story light up sweater, Donald Trump’s It’s Gunna Be Yuge sweater, Dr. Seuss sweater, and Jingle My Bell Sweater. They even have pajama jumpsuits! With the holidays upon us and the parties starting now is the time to get festive by checking out the large assortment of Ugly Christmas Sweaters. Believe me, you will be the hit of the holiday season with these on! Odor Eliminators with Funk Away! 8 reasons to visit Punta Mita with your kids & Family!